The Metropolitan Transportation Authority in July said it would face a budget gap of $634 million in 2022. Turns out, it will actually be much worse than that. The transit authority on Thursday rolled out its proposed 2019 budget and four-year financial plan, which now projects the budget deficit to climb to a staggering $991 million in four years. With this major budget crisis brewing, the MTA announced two new options for fare and toll increases in 2019 and possible service cuts, all while service deteriorates and ridership drops (h/t WSJ). One option for fare hikes includes keeping the base fare of MetroCards at $2.75 but ending the bonus for buying a pay-per-ride pass. The second would increase the base fare to $3 and double the bonus to 10 percent. A weekly pass would increase from $32 to $33, and a monthly pass would jump from $121 to $127. And according to officials, customers of Long Island Rail Road and Metro-North would see an increase of 3.85 percent on weekly or monthly tickets, with a maximum increase of $15 on monthly passes. The fare hike would be the sixth since 2009 when the state legislature approved a plan that included increasing fares every other year. Tolls on MTA operated bridges and tunnels would also see an increase of either 4 or 8 percent. If the latter increase is approved, the revenue would be designated to funding capital projects. If approved by the MTA board in January, the fare and tolls would take effect in March of next year. “In the face of very difficult economic times, we’re aggressively pursuing cost savings and identifying efficiencies while we work hard to create the renewed and modernized public transportation network that New Yorkers need and deserve,” Ferrer said in a statement. The MTA says the drop in fare revenue stems from planned weekend and overnight service (including service disruptions from the Fast Forward modernization plan), as well as more customers opting to take for-hire vehicles. 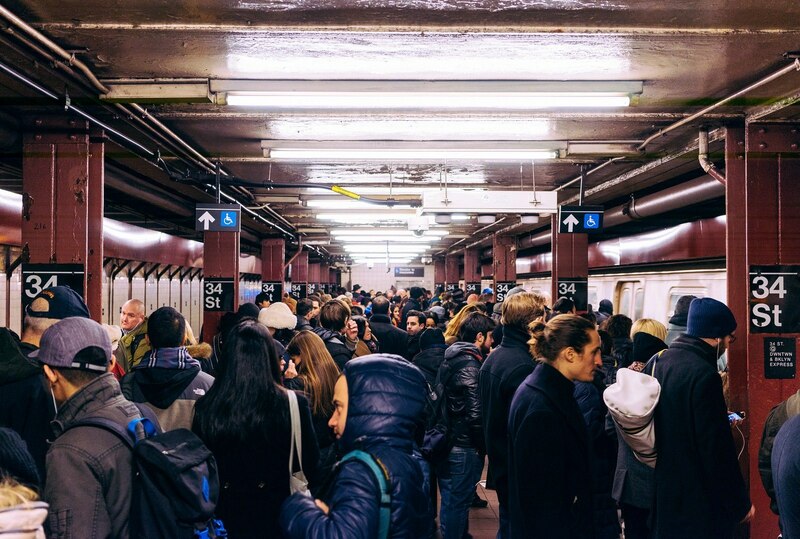 Between 2016 and 2017, there was a loss of 69 million rides on the city’s subway and buses, despite a boom in population and tourism across the city. But the fare hikes are not set in stone, and the MTA will be hosting eight public hearings between Nov. 27 and Dec. 13 to gather feedback from the public. Get more information on the hearings here.